Following days some of the worst air recorded in the capital city, a group of Beijing NGOs have listed industrial emissions as the main contributing factor to air pollution in China's cities. The Report of Air Pollution Source Position, released by the Institute of Public and Environmental Affairs and other 15 Beijing-based NGOs, was the first report concerning the sources of air pollution. "Despite the fact that automotive emissions are a major cause of air contamination in urban areas, industrial pollution is the most stubborn factor for bad air," Ma Jun, director of the institute, speaking at the press conference on Thursday. The common atmospheric pollutants are including sulfur dioxide, nitrogen dioxide, carbon monoxide and the volatile organic compounds, Ma said. According to the report, 85.7 percent of sulfur dioxide emissions came from industries, while they contributed 76.1 percent of nitric oxide emissions from 2006 to 2009. Based on information from the Ministry of Environmental Protection, the institute analyzed data from the country's biggest 4,400 emitters. More than half of the biggest emitters are located in the eastern coastal areas, while Shandong, Hebei, Jiangsu, Shanxi provinces and the Inner Mongolia autonomous region are the areas with most of the emitters. The Yangtze River Delta is also seeing increasing emissions of pollutants. He also called on the government to take more pollutants into consideration, rather than only sulfur dioxide and nitrogen oxides, while monitoring enterprises with heavy exhaust emissions. 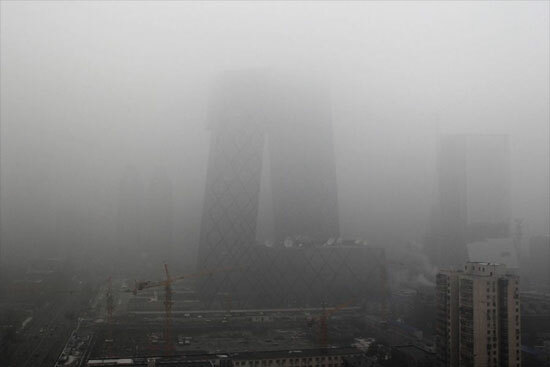 Ma said the cost of environmental degradation by air pollution in 2004 was almost 220 billion yuan ($34.3 billion), taking up 1.3 percent of the annual GDP, not accounting for the influence on daily life as well as the damaged health of the public. "It's necessary that the information on pollution is accessible to the public - instead of for a small group of experts for research and study - so they are better informed of the dangers they're confronted with due to the polluting factories nearby," said Wang Weijia, former deputy director of the Society of Entrepreneurs and Ecology.